Our best-selling C.O. 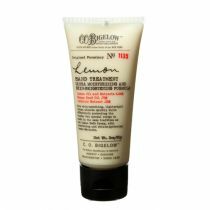 Bigelow Lemon Hand Wash is an extraordinary hand cleanser with skin-brightening Lemon Extracts and moisture-rich ingredients. This extraordinary cleanser, loaded with skin-brightening and nourishing lemon oil extracts (super charged with Vitamin C) cares for hands keeping them feeling renewed, soft and supple. 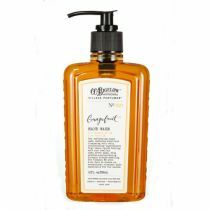 This is our best selling hand wash that is prized for its fresh scent and its moisturizing base that keeps skin feeling nourished and healthy. I have used this for years and recommend it for anyone who would like a really nice hand-washing product. Beautiful smell. Service is always excellent from this company. I get migraines from scents/smells. This is the only soap that I can use and not get a migraine. I have tried other companies lemon scented products and none compare to C.O. Bigelow. You have a customer for life!! I'm very scent sensitive and this is the only liquid soap I've found that isn't overbearing, harsher or artificial. It is pleasant smelling and does not dry out your skin. It's definitely my favorite. I've been using it for 10 years and haven't found anything better. Once you use this in your kitchen and bath you will never use any other hand soap. The smell is so refreshing not to mention that it makes your hands feel wonderful after gardening or cutting up onions or breaking and eathing crab. My granddaughters love this soap and the smell. I have used this soap for years and will never be without. This hand wash is amazing. I love the smell and cleans my hands so well. My husband and I love to eat steam crabs and the smeel stays with you but we wash our hands with this product and the smeal is so faint. Your hands will be smooth. I am never without the lemon. I have tried 2 other scents and love them as well. I don't use any other hand wash~~have loved it for years~~~ It is the best hand wash ever!!!!!!! My favorite Hand wash Ever! It does not dry hands out like most liquid soaps do, and it leaves hands feeling clean & smooth and smelling Super Yummy! A little goes a long ways, so a bottle lasts a long time. I keep this wonderful, fresh smelling hand wash at all my sinks, kitchen, bathrooms and guest rooms. It's much easier to use than bar soap, as well as being refreshing and gentle. 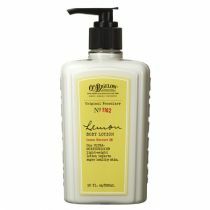 There is no added perfume, as there is in the lemon hand lotion, so it doesn't cause allergic problems, thankfully. Hope Bigelow never changes this classic product. I was introduced to this product years ago when it was sold in Bath & Body Works at the local malls, and have been hooked ever since. I keep one at my kitchen sink using before, during, and after food preparation (immediately eliminates odors from onions, garlic, fish, etc.). My hands are always feel soft and smell fresh and clean. I also keep one in each of my bathrooms. A small amount goes a long way, so I think the unit price is fair. 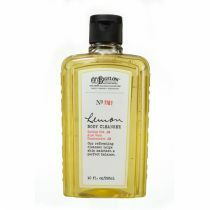 Guests have often mentioned how much they like the lemon hand wash also. Please don't ever change the formula, it is a terrific product! I found Lemon Hand Wash at Bath & Body at a higher price but they quite carrying it. Every guest I've had raves about it, and my building contractor mentioned its soothing qualities for his work-roughened hands - & the fragrance! I bought these for my home and a sample for the contractor as a gift - along with a full-sized bottle of course! Fabulous Product for Those with Major Skin Problems!!! This is a wonderful alternative to regular soap. I am allergic to a number of perfumed and antibacterial soaps. This is a light smelling lemon that even cuts smelly fish hands. I just wish it didn't cost quite so much. Water(Aqua), Sodium Laureth Sulfate, TEA-Lauryl Sulfate, Cocamide MEA, Lauramidopropyl Betaine, PEG-7 Glyceryl Cocoate, Citrus Medica Limonum (Lemon) Peel Oil, Decyl Glucoside, Sodium Lauroyl Oat Amino Acids, PEG-75 Shea Butter Glycerides, PEG-16 Macadamia Glycerides, Aloe Barbadensis Leaf Juice, Citrus Medica Limonum (Lemon) Juice Extract, Citrus Medica Limonum (Lemon) Fruit Extract, Daucus Carota Sativa (Carrot) Root Extract, Panthenol (ProVitamin B-5), Glycol Stearate, Glycerin, Butylene Glycol, Guar Hydroxypropyltrimonium Chloride, Polyquaternium-7, PEG-60 Almond Glycerides, Glycine Soja(Soybean) Oil, Tocopheryl Acetate (Vitamin E Acetate), Tocopherol (Vitamin E), Hydrolyzed Rice Protein, Prunus Amygdalus Dulcis (Sweet Almond) Protein, Benzophenone-4, PEG-150 Distearate, Sodium Chloridie, Citric Acid, Disodium EDTA, Phenoxyethanol, Methylparaben, Propylparaben, Methylchloroisothiazolinone, Methylisothiazolinone, Beta Carotene (CI 75130).